World's Biggest-Bubbling Least-Costly BIG Bubble Mix! How is this possible? Brand X and other brands are mostly water. 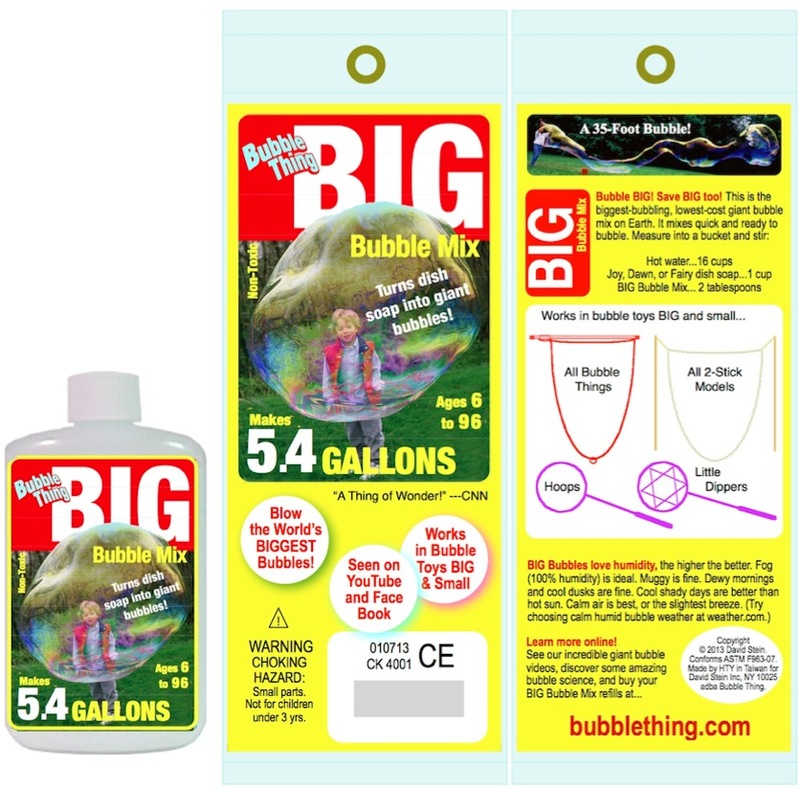 Our BIG Bubble Mix is a concentrated powder, and it works by far the best. Test Bubble Thing side by side with other competing brands and home-made soap recipes and see! Now scroll down to see the $13.99 of Brand X, our main competitor. Our gallon costs less than 1/5th of theirs. And ours blows bigger bubbles--- like the 35-foot bubble shown.